Poor James Cameron. He is a brilliant filmmaker, but he has only come up with a couple of original ideas. Take a look at his filmography: Terminator was allegedly inspired by a story by Harlan Ellison. Terminator 2 is just a copy of the first Terminator, albeit a much better version. True Lies is a remake of the French film La Totale. Titanic has the same story as Somewhere in Time. And do I even need to mention that Avatar is a blatant ripoff of every environmentalist movie ever made? The Abyss is the only original story I can think of that came from James Cameron’s imagination. None of this is necessarily a bad thing. Cameron is great at turning other people’s stories into something spectacular. He adds little details and heart-pounding action sequences that pay homage to, and up the ante of, the preceding film. Case in point, Aliens. The sequel to 1979’s groundbreaking science-fiction horror film Alien, Aliens follows the same plotline, but it somehow turns into something with a completely different look and feel than the first film. So let’s go where no one can hear you scream, and see how Aliens and Alien are hatched from the same egg. This is going to be easier than my other Movie Matchups because this time some of the characters are the same in both cases, so I don’t have to spend as much time explaining two backstories. The opening shot shows a ship traveling through space, and it’s interrupted by an incoming transmission. There are similar scenes of people awakening from hypersleep. Ripley is coerced into going to the planet LV-426. No one listens to Ripley until the commanding officer is taken out. The company sends a group of people to their deaths in search of alien life. A company representative has a hidden agenda. The chestburster steals the show with the most violent scene in the movie. The heroes use similar equipment to track and fight the aliens. The first encounter with the fully grown aliens is a bloody failure because the heroes underestimate them. The android gets stabbed through the chest and then gets ripped apart. Ripley puts herself in grave danger to rescue a friend. The self-destruct system has an audible countdown. The alien sneaks aboard the getaway spaceship. Ripley gets into a suit to do battle with the alien and sends it out the airlock. The first thing we see after the title sequence is a spaceship moving slowly through the stars. After a nice leisurely look through the spaceship’s interior, we see a computer screen turn on and start processing a bunch of data that no one is awake to see. In Alien, Ripley and six other passengers are aboard the gigantic mining vessel Nostromo, and the transmission is received from the Weyland-Yutani Corporation. 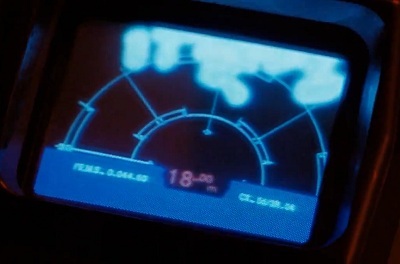 In Aliens, Ripley is alone in an escape pod, and the computer is giving a proximity warning as another ship rapidly approaches. A group of people wake up from hypersleep and immediately eat breakfast. Ripley and her crewmates are groggy after their hypersleep, but they soon recover and enjoy breakfast together. Each character has a distinct personality, and we get to know them through their interactions with each other. Actually, that description fits both films perfectly. 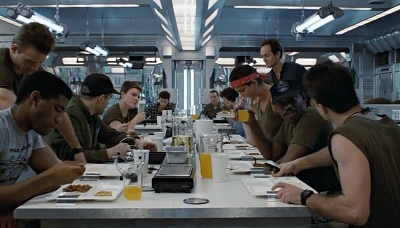 In fact, a character even eats cornbread at breakfast in each film. The difference is that in Alien the characters are all part of the same ore-mining operation while in Aliens there are a few civilians mixed with a squad of space marines. The Weyland-Yutani Corporation coerces the main characters into going to the planet LV-426 by threatening their livelihoods if they don’t do it. The ore miners are reluctant to check out an alien signal because they’re not qualified for such an operation, so they are told that if they don’t do it they’ll forfeit all their money and probably face other penalties when they get back to Earth. In Aliens, Ripley is stripped of her flight status and forced into menial labor. But once the company decides she could be of use to it, she is told she’ll be restored to her old job if she goes back to LV-426. Given these choices, it’s not hard to see which one the main characters take. Whether she’s sharing trivial details or serious facts, Ripley is ignored by everyone around her. 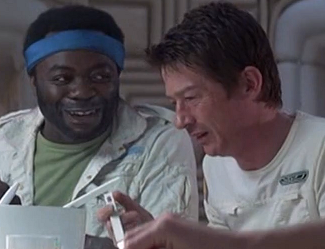 In Alien, she tells her crewmates that they’re nowhere near Earth, they shouldn’t bring an alien lifeform aboard the ship, and that they should wait to take off until they’ve fixed several important systems. But in each case, she is either ignored or bypassed by others. In Aliens, Ripley’s warnings about the alien fall on deaf ears when talking to corporate heads and military commanders. She can’t catch a break. However, all that changes when the commanding officer is taken out by an alien. Interestingly, in both cases, he isn’t killed, but he’s cocooned in preparation to become a host for another alien. You don’t discover Dallas’ fate in Alien unless you watch the deleted scenes, though. The Weyland-Yutani Corporation sends a group of people to investigate a crashed alien ship on LV-426, and one of the explorers winds up being impregnated with an alien from a facehugger. All of his companions are then killed except for one girl. In Alien, that girl is Ripley, and in Aliens it’s Newt. It’s crazy because Aliens has a complete recreation of the events of Alien off-screen. The colonists on LV-426 are told to check out the alien ship and then we can assume the aliens kill off the crew one by one in their endless quest for hosts. The only survivor is a little girl who Ripley instantly bonds with because they both survived a horrific ordeal and lost everyone they cared about in the process. A representative of the Weyland-Yutani Corporation has his own plan on what to do with the alien. He corners Ripley in a room and tries to kill her to protect his secret. The android Ash literally tries to kill Ripley after she learns the truth about their orders to bring the alien to Earth in Alien. Burke takes a subtler approach in Aliens. After Ripley confronts him and tells him she has evidence that he sent the colonists to their deaths, he decides to kill two birds with one stone. He locks Ripley and Newt in a room with two facehuggers so they’ll be impregnated, bring the aliens back to Earth, and die in the process. The first hour of both films has plenty of tension, but it’s mostly setup. The payoff starts to come when the chestburster arrives in horrific fashion. 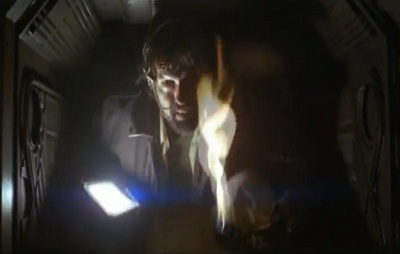 Kane’s death scene in Alien is the film’s signature scene. It’s abrupt, violent and unbelievably gory. In Aliens, the space marines come across a woman who suddenly shows the same symptoms as Kane. Within seconds, an alien rips through her chest and puts her out of her unspeakable misery. The arrival of the alien in this way is shocking and unsettling for the audience. We know we’ve been promised something terrifying by the title, but we’re not prepared for it when it shows up like this. The ore miners and space marines use motion trackers to try to locate the aliens, and they use incinerators to try to flush the beasts out of their hiding places. These tools don’t prove to be too useful because the motion trackers don’t account for elevations, and the aliens are still able to get the drop on them, even when the people have some sense of where they are. The incinerators seem to have at least some effect on the aliens. The humans are far too cocky when they go looking for the aliens. They think they can handle them without their most advanced weapons, but they quickly lose crewmates at an alarming rate, which forces them to rethink their strategy. Brett faces off with the alien with only a simple cattle prod, but he’s quickly disarmed and dismembered. The space marines are told to only use incinerators when they enter the aliens’ hive for fear of damaging sensitive equipment with pulse rifles. However, all of the marines that obey that rule get killed. Airshafts figure prominently in one scene in both films. In Alien, Dallas is trying to force the Alien into the airlock, but the plan backfires and the alien winds up getting the jump on him. 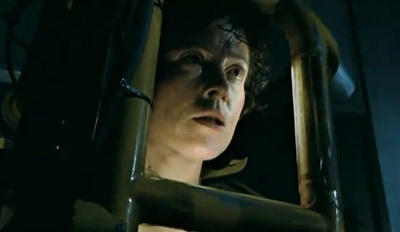 In Aliens, Ripley and the few surviving space marines run away from the hordes of aliens by climbing through the airshafts. Some of the marines are ambushed along the way just like Dallas was. Things don’t go well for Ash and Bishop in the end. Ash gets a cattle prod shoved through his heart and then his crewmates completely dismantle him so only his head works. Bishop gets the Queen Alien’s tail shoved through his chest, and then he gets split in half by her. The end result is an android covered in his milky blood and completely helpless to do anything in the final act. Both androids even have a special message and a smile for Ripley right before they sign off. 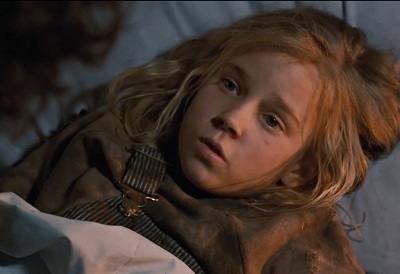 There is little difference between Jones the cat and Newt the little girl. They serve the same purpose in their respective film, providing a reason for Ripley to put herself in danger one more time before getting the heck out of harm’s way. In Alien, Ripley finds Jones her cat and manages to escape with him in the escape pod. In Aliens, Ripley goes back into the aliens’ hive to rescue Newt before she can be impregnated. A helpful female voice keeps us constantly apprised of when a self-destruct will occur. Ripley sets the Nostromo for self-destruct to get rid of the alien while she gets into an escape pod. The whole time she’s making her way to the pod, the voice of Mother (the onboard computer) ticks away the minutes to her destruction. The same thing happens in Aliens. The atmosphere processing station is about to go up in a thermonuclear explosion, so Ripley has to hurry to get Newt out of there and escape from the planet aboard a spare spaceship. Just when Ripley thinks she’s safe, an alien shows up in her spaceship and tries to kill her. In Alien, the alien hides in a little pocket of the escape pod and makes its presence known by extending an arm toward Ripley in a threatening manner. In Aliens, the Queen Alien hides in the landing gear of the spaceship and waits for it to land on the Sulaco before revealing herself to Ripley. The Queen spends most of her time reaching for Newt while Ripley prepares for the final fight. Ripley slips into a special suit so she’s ready to take on the alien at the end. She puts on a spacesuit in Alien because she plans to open the airlock and blow the alien out into outer space. After a few hiccups, her plan works perfectly. Unfortunately, in Aliens Ripley doesn’t have the luxury of being able to put on a spacesuit to protect herself from the void of space. She dons a Power Loader and goes mano-a-mano with the Queen Alien in a fantastic scene. Her plan to send the Queen out the airlock goes awry and she has to open the airlock while she’s still in it. After the Queen dies in the vacuum, Ripley somehow manages to pull herself up and close the airlock just in time. Whew! So what do you think? It seems like Aliens and Alien are basically the same film. Ridley Scott may have created a masterpiece of modern science fiction, but James Cameron found a way to improve upon it. Cameron is the master of crafting sequels that fit perfectly with the films that came before them. After watching Aliens, you don’t feel like it cheapened the first film at all. If anything, you feel more respect for Alien for introducing us to something that would eventually lead to this fantastic sequel. All images from Aliens and Alien are the copyright of Twentieth Century Fox. This entry was posted in Movie Matchups and tagged alien, films, james cameron, movie review, movies, science fiction. Bookmark the permalink. So, what would Cameron’s follow-up to Blade Runner have improved on? Seen Prometh yet? No, I haven’t seen Prometheus yet. I’ve heard mixed things about it, so I’ll probably wait until it’s on DVD to take a look. Blade Runner’s ending definitely screams for a sequel. It’s too bad it didn’t do too well when it first came out so they didn’t get a chance to expand on its ideas about humanity and androids. I’m sure that James Cameron would have improved on the action while not forgetting about the story and characters. Maybe throw in another group of androids or show Decker trying to evade the authorities. There are a lot of possibilities there. This is the blog I was looking for. I’m glad somebody documented this. Here’s another similarity between Jones the cat and Newt the girl. Both movies have a scene where the motion tracker detects something for the first time, and the crew assumes it is an alien but when it suddenly jumps out, it turns out to be a plucky little survivor who has been alone in the danger zone for some time. In ALIEN it is the cat; in ALIENS it is Newt. Both are nearly killed by a tense crewman when they jump out. Newt and Jones are indeed one and the same.